sodium Carboxymethylcellulose is a kind of important cellulose gum, a polyanionic cellulose compound with good water solubility obtained from natural fiber by means of chemical modification. It is easily soluble in hot and cold water. It has very unusual and valuable physical and chemical properties such as thickening and emulsifying properties, as well as being difficult to get bad and being physiologically harmless. It is a natural polymer derivative with wide application. 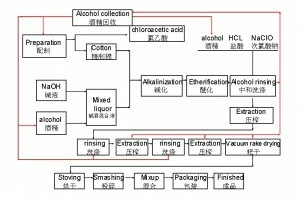 The main chemical reactions of sodium carboxymethylcellulose are alkalization reaction of cellulose with alkali to generate alkali cellulose and etherification reaction of alkali cellulose with monochloro acetic acid. sodium Carboxymethylcellulose is the sodium salt of cellulous carboxymethyl ether and belongs to anionic cellulose ether. It is white or milk white fibrous powder or particles and the density is 0.5-0.7g/cm³, nearly odorless, tasteless, with hygroscopicity. It is apt to disperse in water to form transparent colloidal solution but insoluble in organic solvents like alcohol. The pH value of 1% sodium carboxymethylcellulose aqueous solution is 6.5-8.5. When the pH value is above 10 or below 5, the solution viscosity strikingly decreases and achieves the best performance at pH=7. sodium Carboxymethylcellulose has thermal stability. When the temperature is below 20℃, the viscosity will rise sharply, but at 45℃, the change becomes slower; heating for a long time over 80℃ enables the colloid to get modified and the viscosity as well as performance dramatically decline. sodium Carboxymethylcellulose is easily soluble in water and the solution is transparent. In alkaline solution it is very stable but apt to hydrolysis in case of acids. Sedimentation will appear when the pH value is 2-3 or in case of polyvalent metal salts (PbSO4, FeCl3, FeSO4, CuSO4, K2Cr2O7, AgNO3, and SnCl2 etc.). What is sodium cmc ? 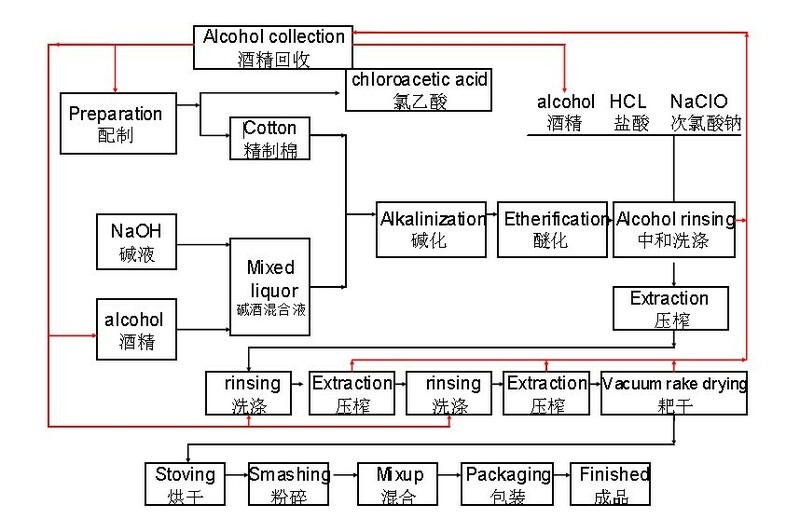 Copyright © 2010-2019 SIDLEY CHEMICAL CO.,LTD.